We also manufacture our original brand products using knowledge of planning and production techniques cultivated through our experience in the business. We not only focus on the functionality but also focus on design and style, and we do our best to provide our customers with satisfying products at low prices. We plan the products based on customers’ needs and feedback. We take every effort to fulfill the increasing needs in the market, but we also produce lifestyle solution products that create a new value to our life by sensitively capturing the seeds of business. Our original brand is called “squ+”. 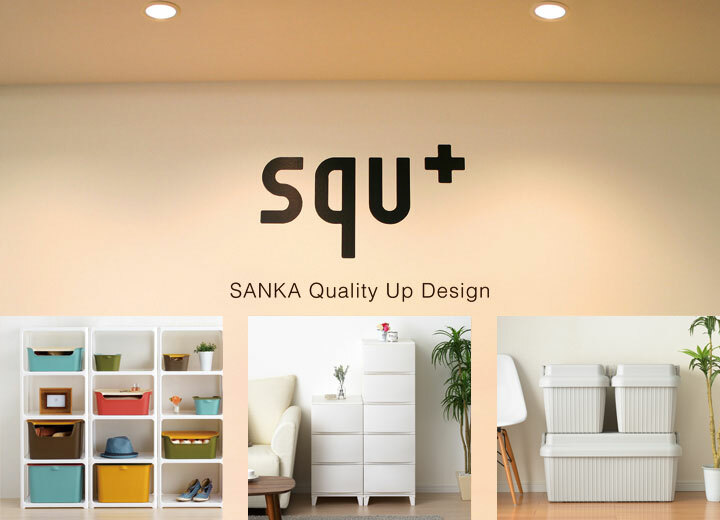 The letters were taken from “SANKA Quality Up Design” which expresses our continuous aspiration to produce products with high quality and elegant design. We offer a series of storage supplies at affordable prices with usability, functionality, suitable forms and textures as furniture, and not to mention refined design. 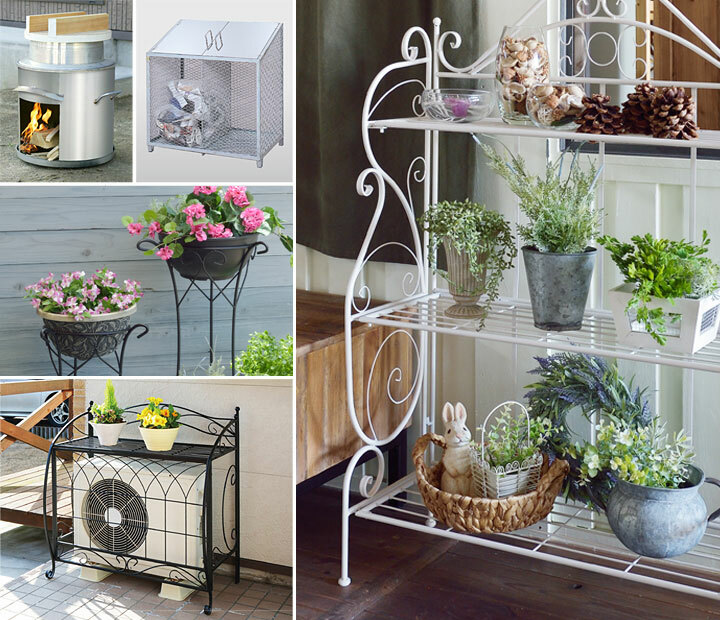 Aside from storage supplies, we also offer an excellent selection of gardening supplies and exterior decorations. We have a wide variety of products in various sizes to meet the diverse customer demands. Especially, our well-designed, easy-to-use outdoor dust boxes are used in many tourist attraction areas where beauty is a great deal.